I went there to check it out and all I witnessed were peacefully demostrating crowds saying what they have to say, listening to music, drinking beer, dancing. Very peaceful vibes. The riots must have been infront of the EZB building itself. 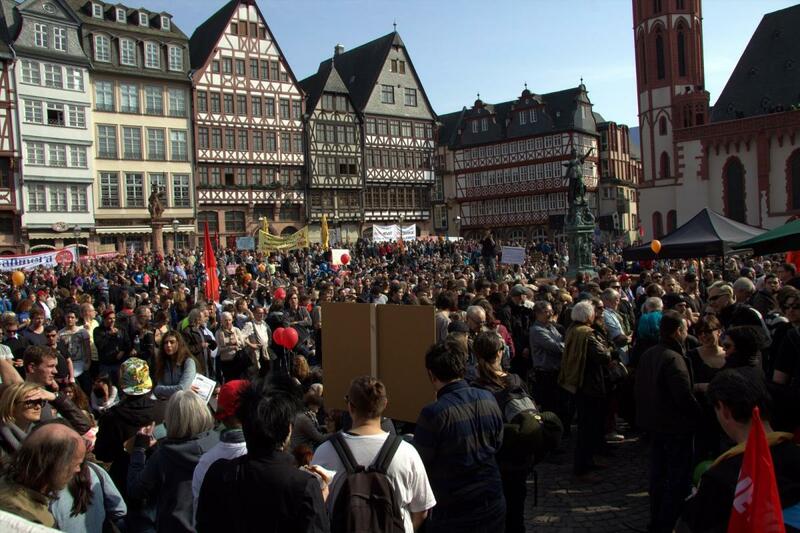 The crowds moving through parts of Frankfurt´s city were divided in four parts as far as what i have heared. I have not witnessed any kind of violence marching with the demo for three hours.